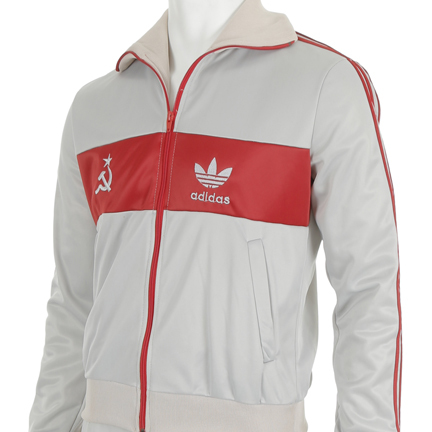 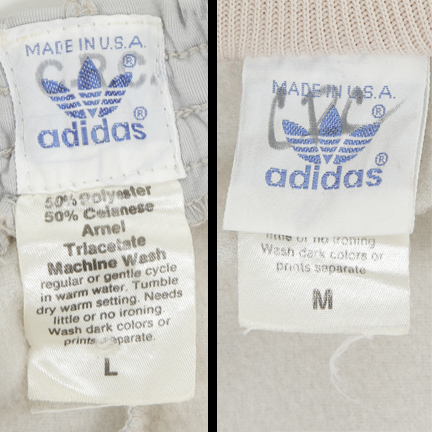 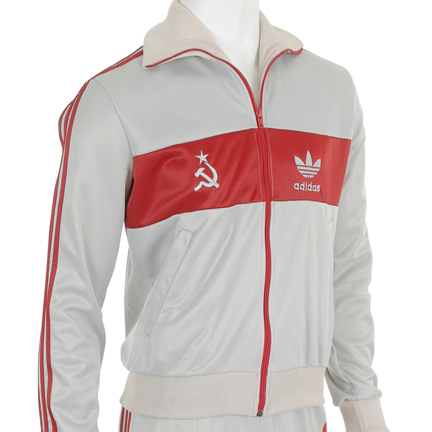 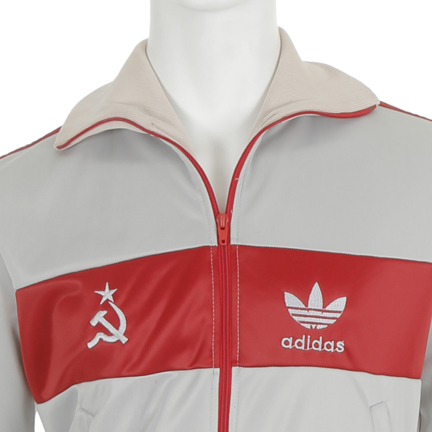 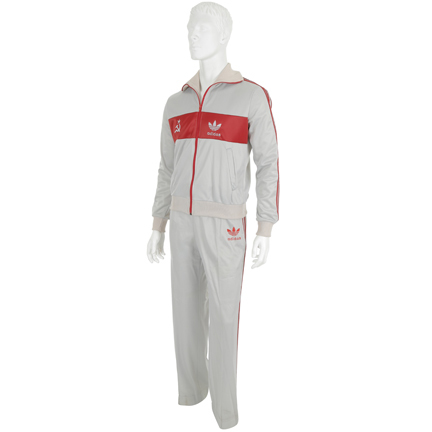 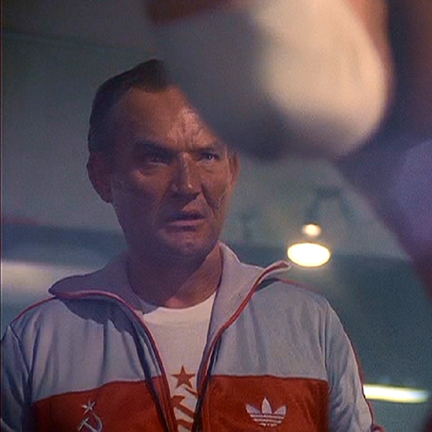 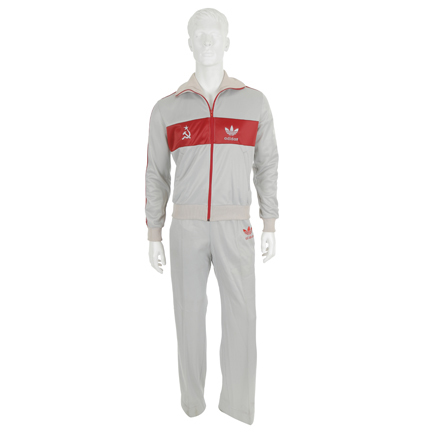 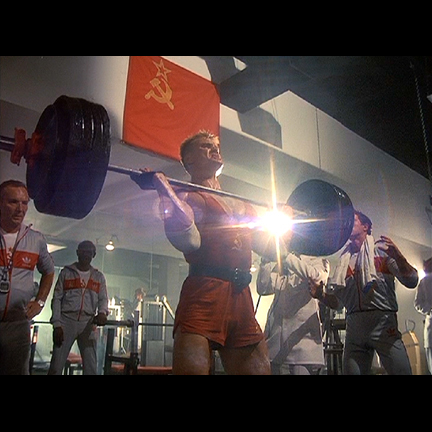 This Adidas track suit was worn by one of “Ivan Drago’s” (Dolph Lundgren’s) trainers and supporters in the 1985 film “Rocky IV”, starring Sylvester Stallone. 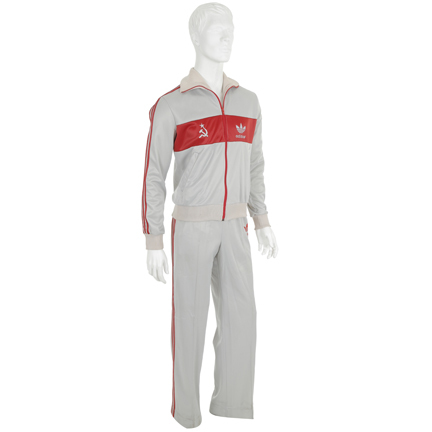 This two-piece track- suit with red stripes was purchased for the production. 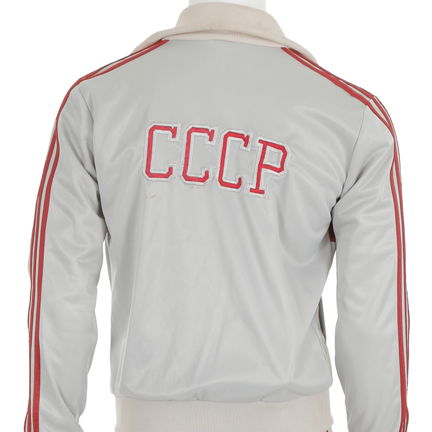 The jacket has “CCCP” embroidered on the back, and Soviet sickle-and-hammer embroidered on the front. 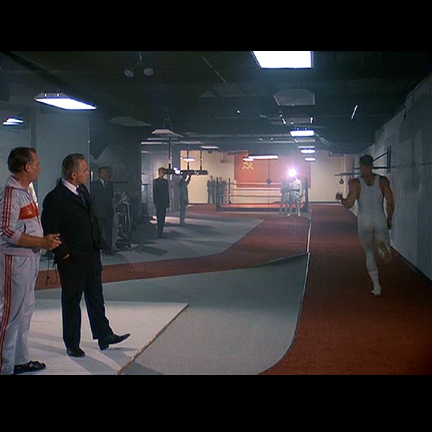 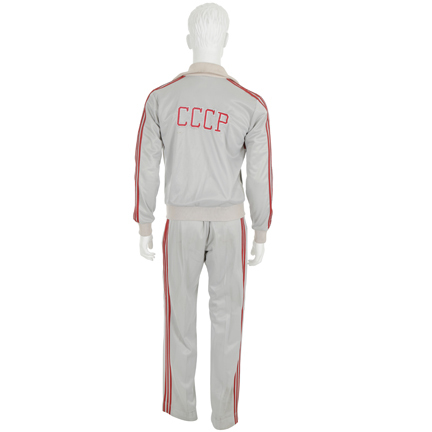 This track suit was worn by Ivan Drago's Soviet training staff, which included his coach "Igor Rimsky" (George Rogan), during the training montage comparing “Rocky Balboa's” (Sylvester Stallone’s) natural, rugged outdoor winter training with Drago's industrial indoor training.